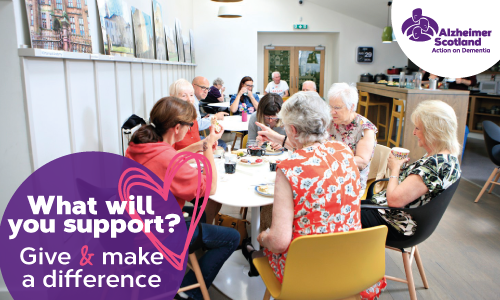 Alzheimer Scotland is committed to making sure nobody faces dementia alone and we believe in the power of local communities in helping change things for the better. Did you know that our dedicated Dementia Advisors, Community Activity Organisers and our Dementia Helpline are made possible through fundraised income? It’s only with your generous donations that we can continue to provide support in the heart of local communities across Scotland, and make sure we reach even more people who need our help. By the supporting the work we do, you’re helping people living with dementia remain recognised, valued and supported in their local communities, and avoid isolation and loneliness. Find out about the support we provide in your area or call our 24 hour Freephone Dementia Helpline on 0808 808 3000. Gather your team to go head-to-head with your local community and test your general knowledge. Bar snacks included!